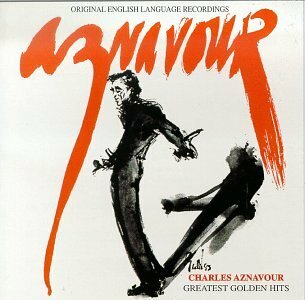 The original versions of Charles Aznavour's international hits, newly remastered onto a 20-track CD! Includes The Old Fashioned Way; She; Yesterday When I Was Young; What Makes a Man; La Boheme; Hold Back the Night; The Times We've Known; After Loving You; Happy Anniversary , and more from the French Frank Sinatra. If you have any questions about this product by boheme, contact us by completing and submitting the form below. If you are looking for a specif part number, please include it with your message.